Hear about travel to the Czech Republic as the Amateur Traveler talks to Anthony Hennen from anthonyhennen.com about his trip to the areas of the country outside of Prague. Anthony guides us on a tour of both Bohemia in the west and Moravia in the east. 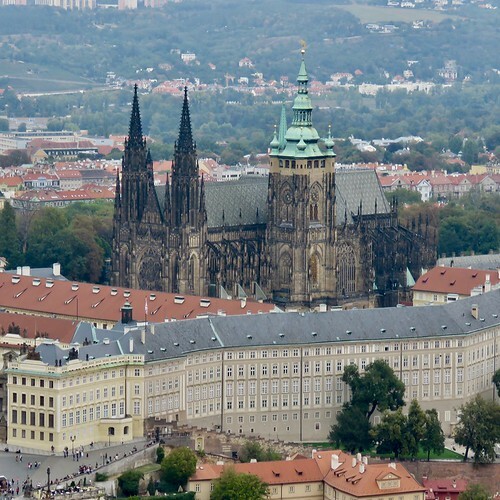 He recommends stops at a bone church, hikes in some of the National Parks, a visit to the former Nazi concentration camp at Terezin, and a visits to the UNESCO World Heritage Sites of Kutná Hora and Český Krumlov. We talk about the caves in the Moravian Karst, the Romani culture and the old Jewish Quarter of Třebíč which is yet another UNESCO site. 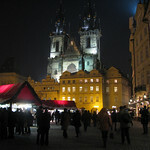 Find out why, as wonderful as Prague is, it is worth seeing more of the Czech Republic. This episode was wonderful! I lived in the Czech Republic in high school, and the advice was spot on. Terezín, Český Krumlov, and Šumava are all excellent destinations. Check out the Slovanská epopej (Slav Epic), in Moravsky Krumlov. It’s a series of 20 paintings by Czech Art Nouveau painter, Alfons Mucha depicting the history of the Slavic people. They’re huge painting (some 20 feet high) yet intricately detailed. Don’t miss it. Up north, check out Český ráj (Czech Paradise). This stunning rock formation and forest makes for great hiking. It was also where all of the forest scenes in the Narnia movies were filmed. Lastly, as was mentioned, Czechs love their beer. Even if you don’t like beer, give Pilsner Urquelle a try. It’s the world’s first pilsner and is from Plzeň (or Pilsen, in German). You can find it distributed worldwide, but it tastes better in the Czech Republic!